The illustration shows targets through an Apache sighting system, normal and thermal views. ThermBright offer a wide range of landing site markers. These can be used as ‘pop-up’ landing sites for helicopters as well as for more permanent landing sites. The illustration shows landing site markers in normal, thermal and fusion views. 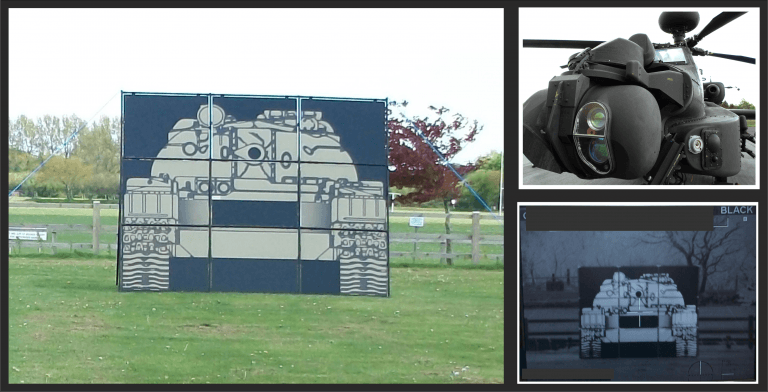 ThermBright offer a wide range of targets for use with FGA scenarios. 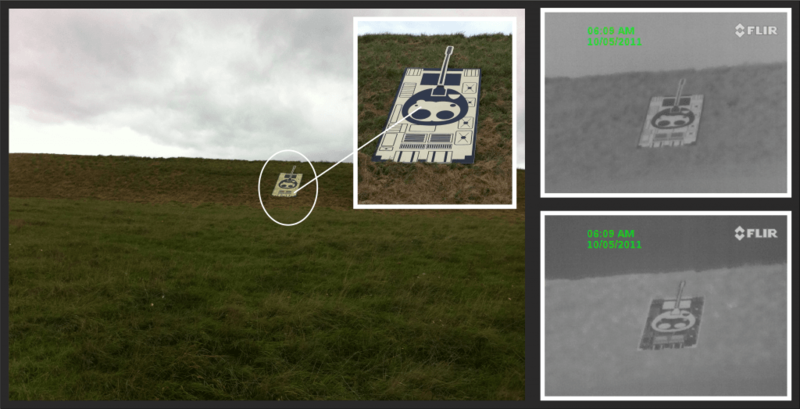 The image shows FGA Targetry targets in both visual and thermal views.